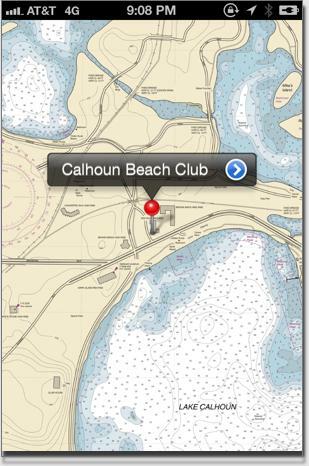 That little blue dot will show you where you are, whether along the shore or out on the water, thanks to the geolocation functionality of your iPhone, GPS enabled iPad, or Android device. 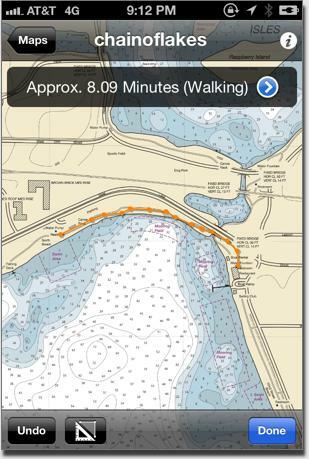 You will need to add the *free* PDF Maps app by Avenza Systems onto your device before loading our product. Compatible with iOS 4/Android 4 and later. 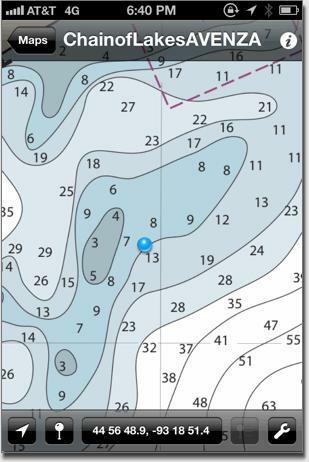 Once you have the electronic chart loaded, you can follow your progress around the lakes, measure distances and walking times, find points of interest, plot photos, and import your own KML files to add waypoints or other details. 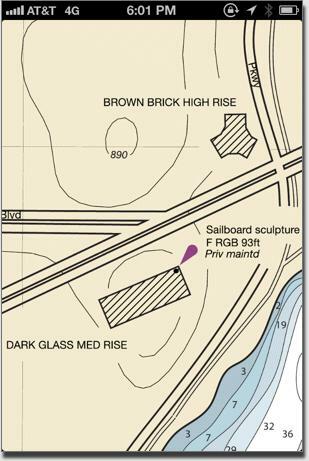 Free updates of the chart are included. Please supply us with your email address in the contacts page so we can inform you of any updates.